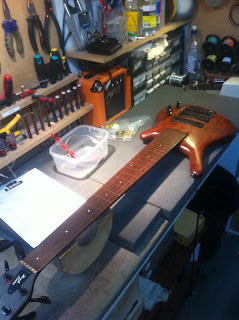 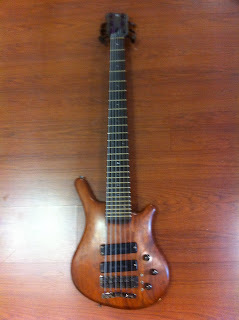 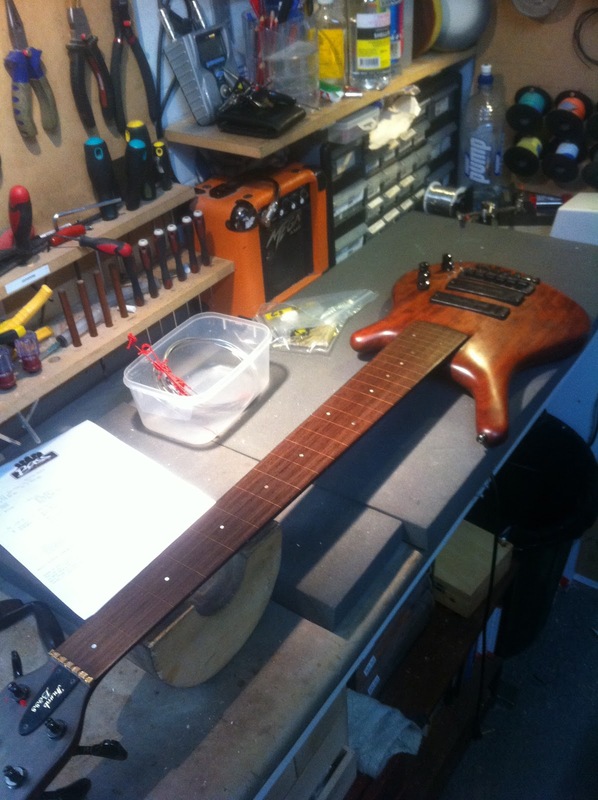 This customer bought a fretless-converted Warwick Thumb 6-String, and wanted to get it re-fretted. On the bench, ready for restoration. We decided to go with the original Warwick bell brass fret wire for this job. Bell brass frets are a little more malleable than nickel silver frets, and I had to be careful not to over-seat the fret ends before fitting the tang. 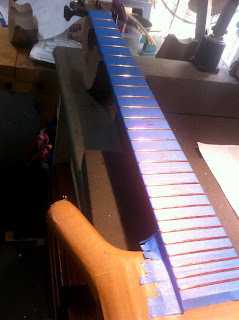 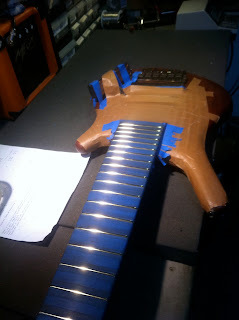 Masking off the fretboard around the soon-to-be re-cut fret slot. 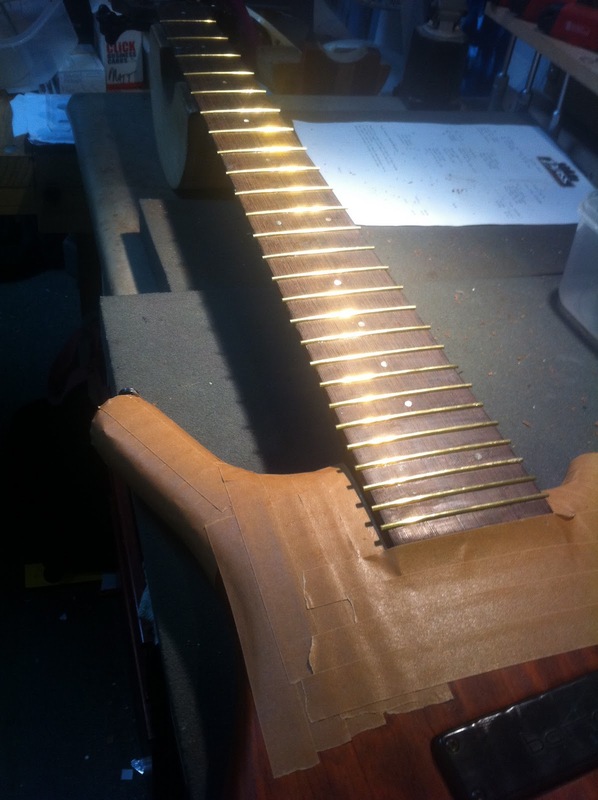 When you buy the bell-brass fret wire from Warwick, you get exactly the number of pieces that you need, pre-cut. 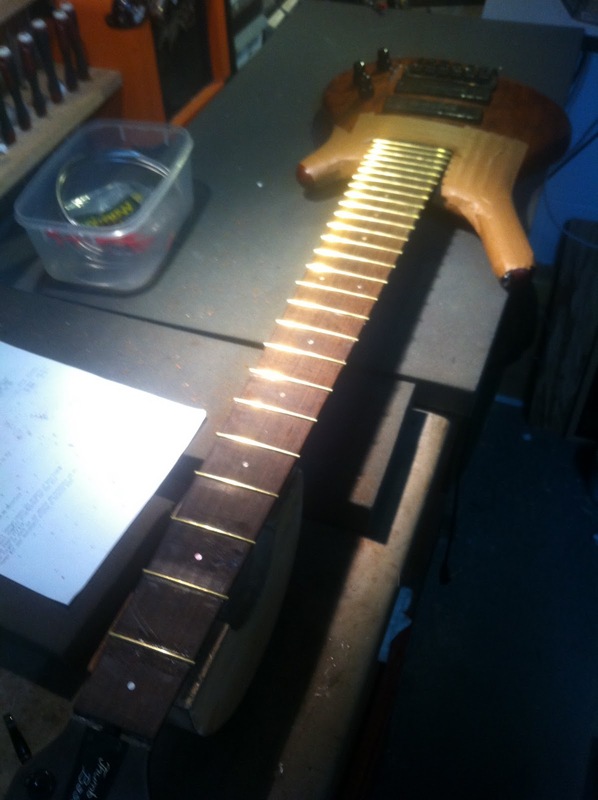 If you make a mistake with a piece, then you have to but another bag of 26 pieces. 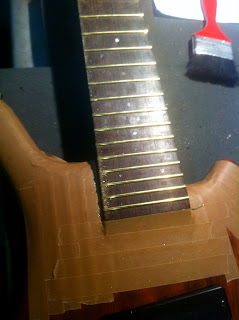 I made sure I took my time on this job. 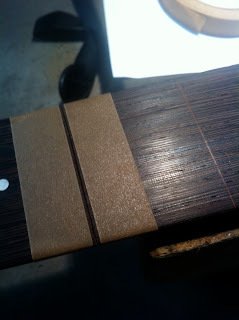 Cutting the slot and checking the depth. 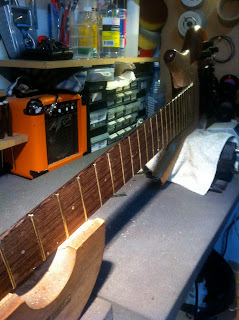 The fret wire is also ready to go. Re-slotting my way down the board. 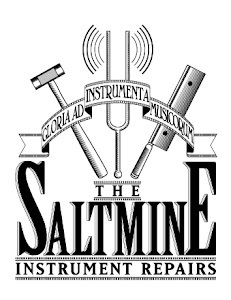 Installation begins! 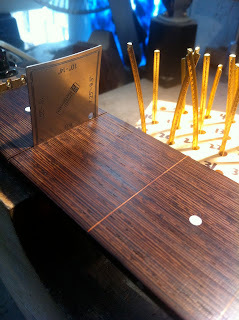 The fretboard is waxed as a barrier for the gel-type glue in the slots. Fretted all the way down the neck, ready for clean-up. 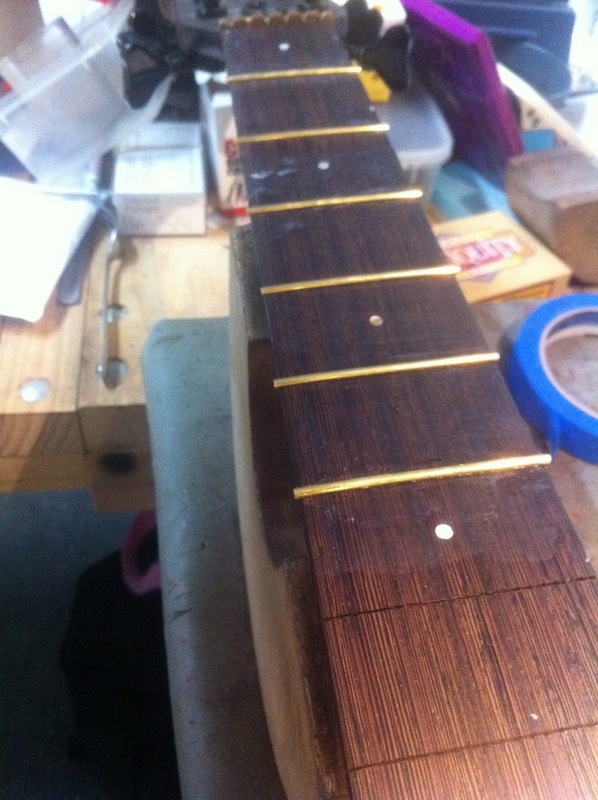 Bevelled and ready for levelling and crowning. Cleaning up the fret ends. 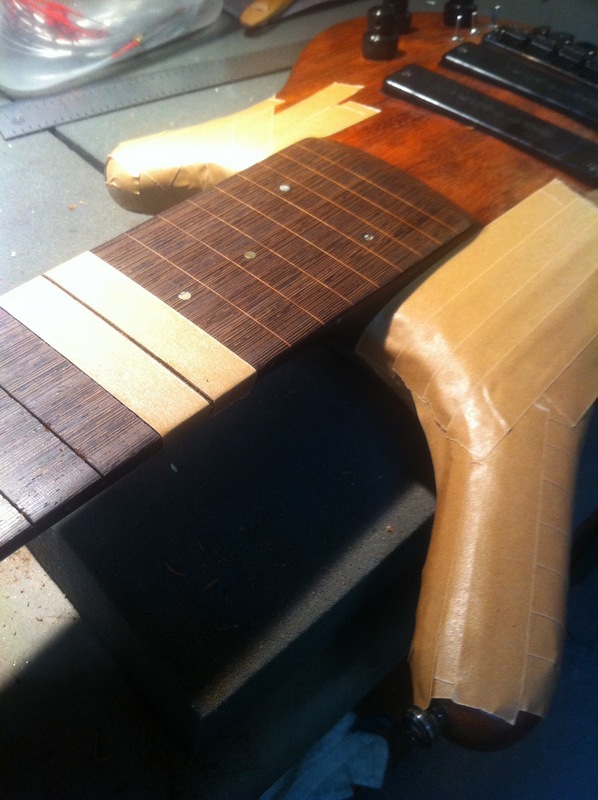 Taped off and marked for levelling. 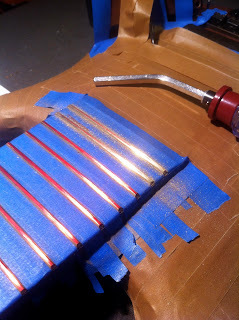 Crowned, polished and ready to go. 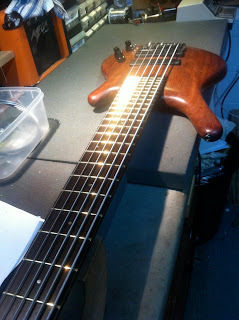 I always like working on Warwick basses because they behave in a predictable way. 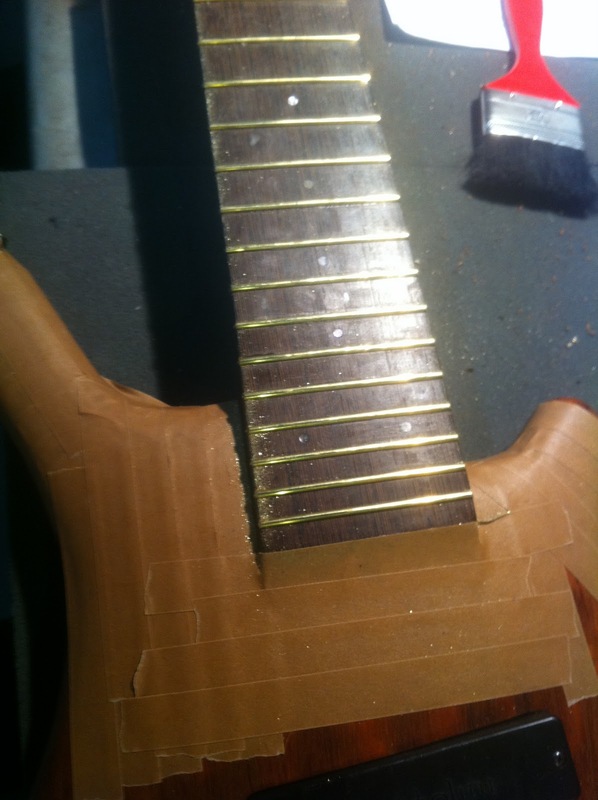 They are very well engineered instruments and can almost always be brought back to top notch condition.